Often when one is working with a flash light in a dark corner, especially on awkward or overhead jobs, it is necessary to use both hands, and the matter of holding the flash light then becomes a problem. 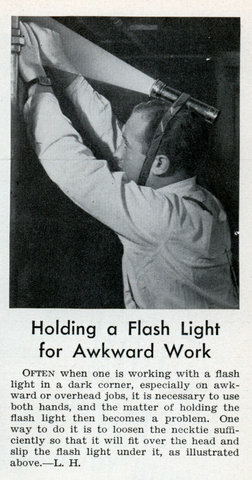 One way to do it is to loosen the necktie sufficiently so that it will fit over the head and slip the flash light under it, as illustrated above.â€”L. 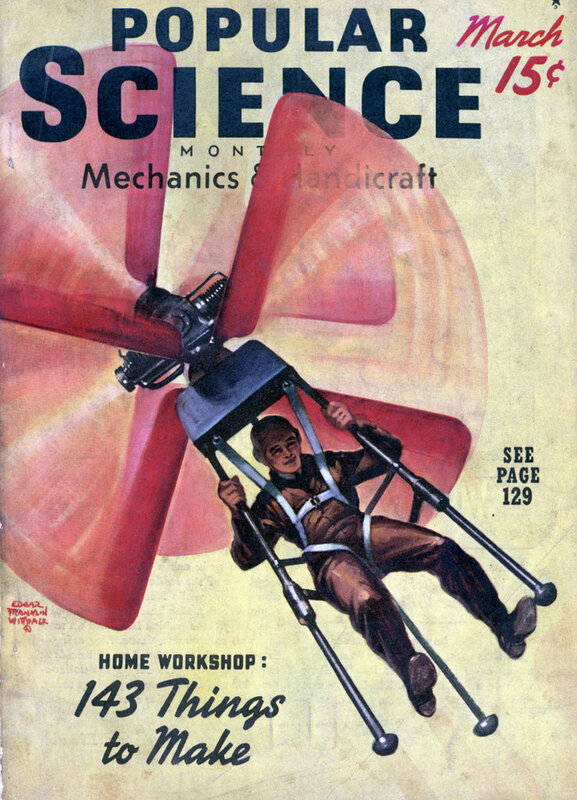 H.
So -that’s- why everyone wore ties in the old days – Popular Science 1940 – Link…….